For a normal ball action game, press 1, 2, 3 or 4 on the alpha-numeric keyboard for one, two, three or four players. For a slow motion game, press 5 for one player, press 6 for two players, press 7 for three players and press 8 for four players. Players 1 and 3 take turns using the right hand control unit. Players 2 and 4 alternate using the left hand control unit. To shoot, pull the joy stick back and release. The longer you hold the joy stick back, the greater the velocity of the ball. Audio beeps will indicate holding time. Push the action button to activate the flippers. Push the joy stick to the left to shift the flipper coverage to the left. Push right to shift flipper coverage to the right. Your game score will be automatically displayed at the far left of the scoreboard. Your bonus score will be displayed at the right side of the scoreboard. The bonus will automatically be added to you score at the end of each ball. The scoreboard will automatically show each player's score during the turn. 4000 points each, disappear when hit. 100 points unless red, 500 points when red. Scores randomly between 720 and 1350 each time hit. 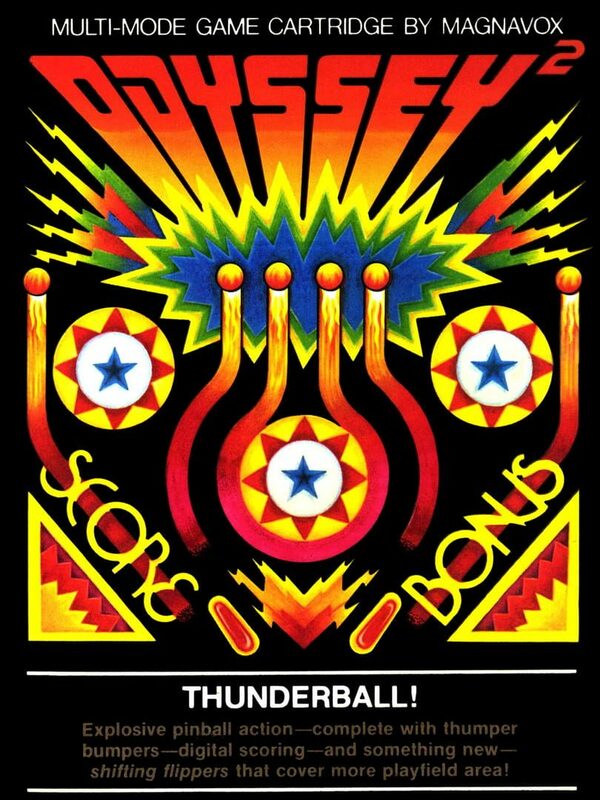 When bonus exceeds 5000 points, it is added to main score immediately; the bonus indicator is reset to 0 and the Backfield Bumpers 1, 2, 3 & 4 are restored and play continues. The winner is the player with the highest score for five balls. The scoreboard will automatically review each player's score at the end of the game. To play again, push RESET and then press the appropriate number on the alpha-numeric keyboard.